The congregation of the Franciscan Sisters of the Immaculate Conception was founded in 1874 in Mexico City by a Franciscan priest, Friar José del Refugio Morales Córdova (1836 - 1894), and three Sisters. Today it has over 1,100 sisters. They have close to 150 convents in various Latin American countries, the United States, and in some countries in Africa. The sisters’ principal charism is the education of the young, the teaching of catechesis, and the care of the sick and elderly. In August 1926, religious persecution ran rampant through Mexico. Many Priests and Nuns tried to escape the tortures of their country by fleeing into the United States. Many were successful, but many were killed in the attempt. Reverend Mother Humilde Patlán Sánchez (1895 - 1970) made a decision to send a group of 5 religious to San Antonio, Texas. After Christmas, the Sisters were sent to Santa Barbara, California to the Franciscan Convent. Father Albano (Franciscan) put them in contact with Father Francis Redman who was a good friend of Bishop John Joseph Cantwell. Father Redman told the Bishop that these Religious Sister's were well prepared for their work. The Bishop then instructed Father Redman to contact the different Parishes to see who would accept them. A response came from Rev. 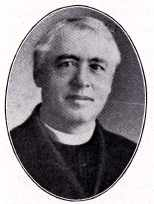 Father Henry Eummelen, who was the Pastor of St Joseph's Parish in Santa Ana. With the help of the Sisters of Saint Joseph a small home was prepared for them on Garfield Street. Soon Father Eummelen realized that the little house could no longer accommodate the Sister's as 3 more Sister's arrived from Mexico. He obtained a larger house in El Modena, Ca., where the Sister's stayed for 3 years. This was a great distance for the ladies who transported the Sister's to the different Catechism centers. It was decided by Monsignor Leroy Callahan to bring the Sister's to a home located on Sixth Street in Santa Ana where they continued their Catechism work. At the home Rev. 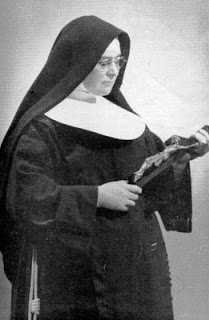 Mother Emma Roman was named Superior. These Sister's dedicated themselves to the same work as the others before them. The Divine Providence that always watched over His beloved daughters was manifested in an admirable manner, because when the benefactors realized the staff had grown, they made larger their donations and supplies. One of the first was Rev. 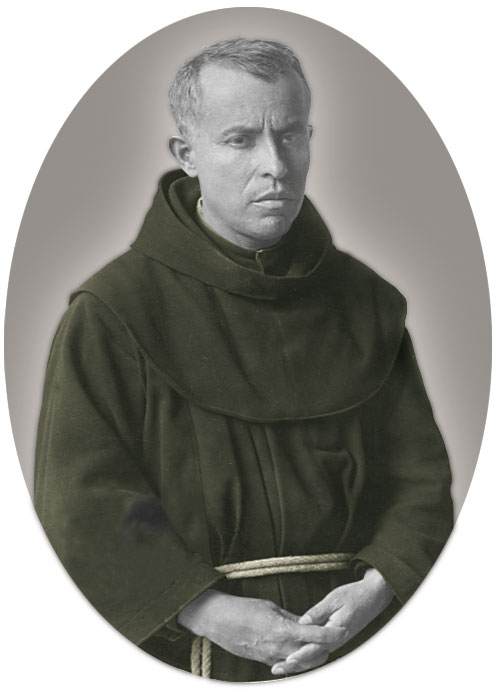 Father José Origel who dedicated himself to the spiritual and material aid of the Religious when they arrived in Santa Ana. In June 1942, our Superior General Maria Coleta Hernandez, took the first steps in obtaining the Archbishop's authorization for the addition of a room to the home that would be used as a Chapel. Rev. Mother Coleta donated $200 of her own funds and with the cooperation of Father José Origel and benefactors, the work was concluded. 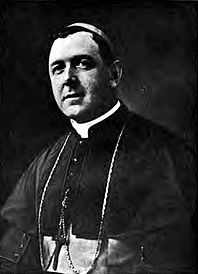 On the date of June 18, 1942, at 4 in the afternoon, the Chapel was solemnly blessed by the Auxiliary Bishop of Los Angeles, Joseph T. McGucken. The fifth of October 1942, Mrs. Chuster came to ask the Mother Superior for two Religious to help her care for some aged ladies she had in her charge. With the necessary permissions, our Sisters began to work with Mrs. Chuster. This Home was named Mater Dolorosa and Holy Mass was celebrated there once a week at the same time as the Holy Hour. The home that served as convent for the Religious was on loan from the Chancery. Acting on the permission of the Superior General and the local Council, it was decided to buy the home on installments. The three Sisters paid for the Home with the salary they received from Mrs. Chuster. The beginning of Saint Francis home "Blessed as we ease the days of our dear ladies on their journey home in more loving ways." In October 1943, Mother Mary Ann was brought to replace Mother Guillermina Vazquez. In March 1944, realizing that the work of these Religious was not sufficiently enumerated, the Superior decided to make an application to the County of Orange to begin working on their own. Next to the convent, there was a small home that was used to begin their work. They received the County license on March 24, 1944. In October 1944, payment was completed on the Santa Ana Convent, the house which had been loaned by the Chancery for the Religious' home. The first aged lady who came to us was one who had been at the Mater Dolorosa Home, her name was Mrs. Cook. Three months later more began to arrive and as there was not enough space to accommodate them all, on November 5th of the same year 1944, two rooms were added to the Home. The funds for this addition came from a drama festival that had been staged by the Catechism students a short time before. On December 12, 1945, the County gave us a license for the care of 12 aged women. One day a Fire Dept. Inspector arrived unexpectedly to check the home's condition, and seeing that the home did not meet the necessary requirements, gave the order that it be closed in three months. We went to the Municipal Office that had issued the license to see Dr. Mary Black who gave medical attention to the aged women in our Home. The Municipality spoke with the Fire Department assuming responsibility for the Home as did Dr. Black, and thanks be to God and to them, we were permitted to continue our work although the Inspector told us our case would have to go before the State. Although we were saddened by this, we trusted in the Sacred Heart of Jesus and we began a novena of confidence with the certainty that the State Inspector would permit us to continue in our small home while the larger one was being built. After a few months wait, the State Inspector came. The Inspector began to examine all of the Home, asking some questions, and when he finished he said with a smile: "I am a Third Order Franciscan, and I know the Franciscans are poor and begin with little, don't be afraid I won't close the Home. I am going to permit you to continue your good work with these aged women, but try to realize you plans as soon as possible". We were very pleased and we tried to save everything we could so we could more quickly realize our dream of a larger and more comfortable home. In February 1946, Rev. Mother Emma Roman became ill, it was discovered she had tuberculosis; and since it was then necessary to transfer her to Saint Teresa Sanatorium in Duane, California, Rev. Mother Guillermina Vazquez replaced her. On August 31, 1949, Rev. Mother Emma Roman, gave up her soul to God. Her dreams and sacrifices in helping our beloved Community grow were like a constant prayer. There is no doubt her prayers were heard by God. In March 1946 we bought two lots on installments, located on the comer of Fifth Saint, and Western. In 1947 we found out that some wooden buildings that had been soldiers' mess halls were up for sale. Two of our Religious went h the Government Office to inquire but were told that they had all been purchased. We contacted Mr. Ogdon Markel and told him of our plans; he told us that what we wanted was difficult but he would try to help us. One day he called and asked how much money we had and we told him that we had $3,000; he made no comments. He later told us that the same day he had heard of a gentleman who had obtained one of the buildings, but that he did not have the money to pay for it. When Mr. Markel found this out he asked the man to release the building to him as he had the cash. The gentleman agreed, Mr. Markel arranged for it to be moved in the month of May, 1948. We immediately informed Monsignor O'Dwyer who advised us that we should speak with Archbishop Francis A. McIntyre so he could give us permission and lend us the money for construction. Soon the building had been converted into a comfortable home for 25 aged women and it met all the state's requirements. All of this we owe, first of all to God, and to the generosity and interest of Monsignor O'Dwyer and Mr. Markel, who did not hesitate to make sacrifices and did everything possible to see the building completed. The first part of the Saint Francis Rest Home was blessed on March 19, 1949. And so as time went on, the active life of the Religious in their work for the good of the aged continued. Meanwhile, many applicants were waiting their turn; causing us to plan on enlarging the building and with the cooperation of Monsignor O'Dwyer, Archbishop Francis McIntyre and the permission of our Superior General, a study was made to plan for the second part of the Home. New difficulties arose but the work of God had to triumph through our Religious' prayers and the enthusiasm of Rev. Mother Guillermina Vazquez who did not spare work or sacrifices; the construction of the new part of the Home began and it was completed on November 5, 1950, the day the building was solemnly blessed. Enthusiastically we could say that we now had a building that could house 66 aged. Upon the inauguration of the second part of our building, many people became aware of our home's existence and like swarming bees many aged women, in search of love and compassion, began arriving full of joy longing for the good care they would receive of our dear and self-denying Sisters who are filled with the charity and love of God. For this reason we asked again for permission and for a loan of money from Archbishop McIntyre to build a larger Chapel that would accommodate 100 persons, and a convent for the Sisters. At first it was denied. We then informed him of the conditions we were living in: that we only had one dormitory and used the patio for a dining room. He said he would think about it. Acting upon the advice of the Cardinal, Bishop Manning came to see our living conditions. He inspected the entire house and after encouraging us, he gave us his blessing and left. We proceeded to buy two large lots that were on Sixth Saint and Western: that later would serve for the building of a new chapel and convent. On August 3, 1952, the Home celebrated the 25 anniversary of its founding and a very solemn Mass was celebrated in thanksgiving for all the blessings received. Once the lots were paid for, we called Mr. Ogden Markel so he would take charge of the work. This work was finished in April. In June 1953 we all gathered in the Chapel to give infinite thanks to the Most Sacred Heart of Jesus, for all the blessings received. Rev. Mother Mary Ann Casas arrived to replace Rev. Mother Guillermina Vazquez in 1953, and she was made Superior. During the time this Religious was our Superior, a group of good willed persons formed a group to assist in everything concerning the Home for the Aged, and they took the name Saint Francis Guild. The members of this group were: Mr. and Mrs. Bernard Huopert; Mr. and Mrs. Larry Huopert; Mr. and Mrs. Perrie Goubert; Mr. and Mrs. José Serna and Miss Jean Zavel. Their purpose was to be voluntary aids in helping the Sisters to celebrate the aged's birthdays, in celebrating holidays, organizing dinners, and festivals to collect funds for any needs that presented themselves. The first planned fundraiser was a chicken dinner. The chickens were donated alive and the Sisters had quite a job in killing and cleaning them. The event was held at Mater Dei High School and after much hard work was a great success. Next came the successful steak dinner and the spaghetti dinners, which continue to this day. The success of the Guild comes from the dedication and hard work of each of the guild members both past and present, as well as the Sisters. The entertainment for these events never failed because of Sr. Cecilia's ability to provide it, as she only knows how. Rev. Mother Maria del Soccorro Lechuga took charge in July 1965 and remained until June 1973. Under her charge, the house continued improving itself and she promoted the Saint Francis Guild and it continued as dedicated as ever. At this time, the furniture and carpeting were renovated in the Chapel and Convent. With the aid of these self sacrificing Sisters, a cistern was constructed in the Sisters' Home and the aged's rooms were furnished. We also are very grateful to the Augustine Reverend Fathers who have lent their services to the community since 1940. Father Damian Gobeo will be remembered for his great love for these souls, and with the help of the faithful built the Parochial School in 1953, where our sisters began to work. The School staff consisted of Rev. M. Margarita Alvaratio (principal), Rev M. Cabrini, M. Teresita Gaeta, M. Bemardita,- M. Angelica Tiscareno and M. Rosalina. These Religious continued residing in the same home with the Religious of the Saint Francis home. In 1966 the Augustine Fathers prepared a home for the teaching Sisters. We have much to thank these Priests for. Under the influence of Father Damian Gobeo the convent was renovated to provide each sister with their own room. To this day with Father Joaquin Goni saying mass and seeing that the spiritual needs of our Community and residents are being met. Now as history continues we like to express our admiration and appreciation to all our Sisters who have served and are serving, for their continual prayers and untiring dedication in providing a loving and caring home where the residents can live happily. In 1978 Mother Margaret Alvarado took charge of the home. With her staff and enthusiasm she concentrated on the additions to the dining room, Arts and Crafts room and remodeled the main office to facilitate the home with easy access to the chapel. Utilizing the talents of Sister Gloria Salgado and her staff, the empty lots were converted into a beautiful park like setting. "Blessed are they who understand my faltering step and palsied Hand." A further step took place under Sister Angelica Tiscareno Superior. The government implied more laws and regulations for the home. The Sisters were asked to attend a number of workshops. To meet the states requirements Sister Angelica arranged for a group of teachers from Rancho Santiago College, to come to the home and provide the residents with the State required activities. "Blessed are they who look away when my coffee spilled at table today." The home continues under the direction of Mother Mary Ann Casas, third term superior. The improvement continues. Mother Mary Ann with her staff concentrates on building the fund for the realization of the visionary nursing unit. She works closely with the Guild and a Christmas Boutique fundraiser is instituted. The Guild and Sisters work diligently to make this annual event a great success. Lovely crafts are made and sold as well as religious articles and homemade baked goods. Various prizes are raffled thus making this event as successful as the spaghetti dinners. "Blessed are they with a cheery smile who stop to chat for a while." This is the disposition that accompanies Sister Maria de la Paz Ulloa as she took direction of the home. With her great spirit and zeal she had the home and convent renovated. The outside was painted, rooms and furniture renovated, flooring replaced and the plumbing in the kitchen and other buildings were redone. She focused on improving the administration of the home as well as providing the Sisters with further education to enhance their skills in providing for the elderly. Our gratitude to our dear Sr. Maria de la Paz Ulloa. "Desiderata" "As far as possible without surrender be on good terms with all persons"
It seems to be the motto of our new superior that we welcome with Seraphic love. Sister Leticia Rodriquez former Provincial Superior is now serving with great interest and love in the continued renovations of the home and convent. She supports the Sisters in furthering their education in the care of the elderly and offers the same support to the employee's of Saint Francis Home. She has had the responsibilities of planning and executing the festivities of the 50th celebration and ceremonies of the home. The opening ceremonies took place in May of 1994. The second will be in February 1995 with the conclusion to be held in May 1995. The Saint Francis Guild. The Guild, because of their commitment to helping the home, have done an outstanding job in providing for our needs. In the past 50 years they have provided for us by purchasing a new fire alarm, air conditioner, refurbishing the Chapel and Convent, dishwasher, fire sprinklers, a buzzer system, mattresses, chairs for the TV room and many other necessities that the home has needed. It is with deep gratitude, thanks and prayers that we remember our Guild members. In conclusion, "blessed be the past fifty years" with the undoubted sacrifices of all our dear Sisters, the Priests and Bishops, the generous support of our many benefactors and the continued work and support of the Saint Francis Guild. In the course of time our Guild has had many leaders and members as had our home with many Sisters and Superiors. Everyone having done their part to improve the home with much love and enthusiasm. We all recognize and appreciate our Sisters marvelous dedication in the residents care, the aid of our employees, the outstanding directives of our Superiors and the perseverance of the Guild and benefactors to which we owe this celebration of "50 years of Loving Service".